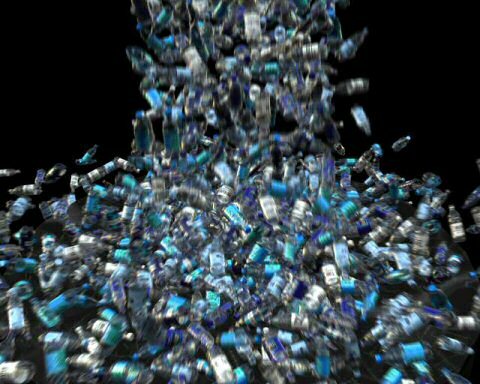 1.5 million barrels of oil in the US alone are used to make water bottles from polyethylene terephthalate, 86% of which are landfilled or incinerated. Often it is shipped long distances, like the 1.4 million bottles of Finnish tap water sent 4,300 kilometers (2,700 miles) to Saudi Arabia, or the popular Fiji water found in the US and Canada… ”Although in the industrial world bottled water is often no healthier than tap water, it can cost up to 10,000 times more.” Tap water comes to us through an energy-efficient infrastructure whereas bottled water must be transported long distances–and nearly one-fourth of it across national borders–by boat, train, airplane, and truck. This ”involves burning massive quantities of fossil fuels,” Arnold said. So, my dear yoga studios, not only are you creating waste and ruining the environment, BUT you are furthering our dependance on oil!!!! Just what this country needs! Plus, many plastic bottles “leach” chemicals into its water, so for all of those people out there (ahem, Los Angeles) who think that its healthier to drink water from a bottle as opposed to from a tap, you are oh so WRONG! Buy a filter if you’re that concerned! Am I’m sorry- recycling is great and all, but there is NO reason to use the stupid things in the first place! Personally, I drink water from the tap and carry around an aluminum bottle, which is your best bet for health (some reports says Nalgene bottle leach chemicals too). 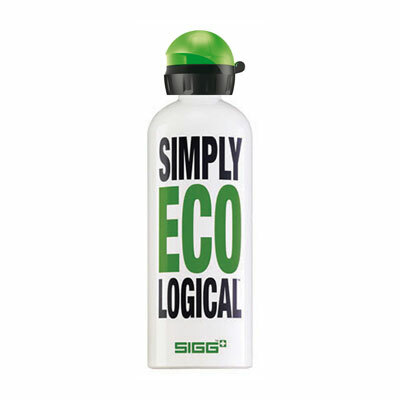 SIGG water bottles are great and are available at Whole Foods or online. They come in a bunch of different designs too, which is way more fashionable than a bottle of Evian.